One of the most difficult parts of riding a bike is changing gears. On a race track a bad gear change can lose you valuable seconds, on the road a botched gear change looks messy and you'll feel a bit embarrassed. If you're planning on taking pillions with you then a smooth gear change is all the more vital for pillion-comfort. You’ll hear about this from more advanced riders and it’s a technique often employed by racers. But clutchless upshifts are something that you should ignore if you've never ridden a geared bike before as it is something to learn once you have mastered using the clutch. The theory is that when you are approaching the point where you want to change up put a little pressure on the gear lever. When you're ready to change up release the throttle slightly and the bike will go in to gear. "Again don't fully close the throttle, only close it slightly - just a little flick of the wrist works fine," says Glyn, "Changing up the gears without using the clutch is a lot easier on the clutch and gearbox, but it takes time to perfect it. It's not something that should be attempted until you are comfortable changing gears with the clutch." 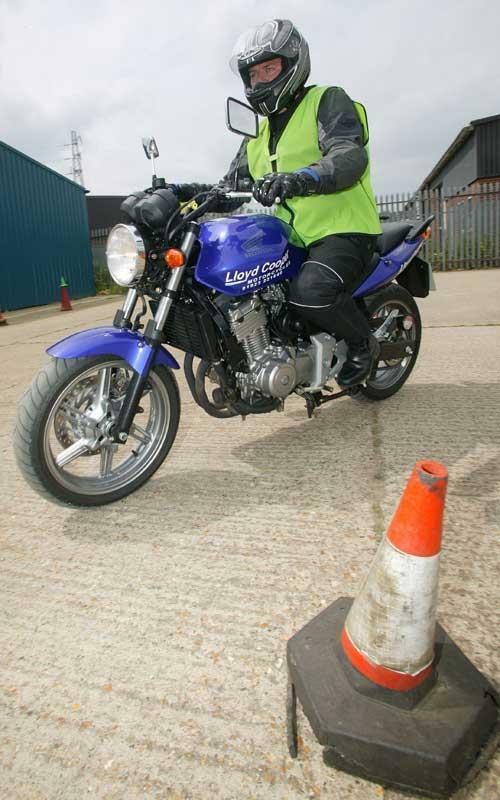 If you are a new or inexperienced rider and have any questions about riding or techniques that you would like us to cover in future columns, then contact Liam Marsden at liam.marsden@motorcyclenews.com and we’ll do our best to help. New Rider is presented in association with Just Motorcycle Insurance.